Paul Sherwen, Renowned Cycling Commentator, Dies At 62 Sherwen's voice became almost inextricable from the Tour de France for English-speaking fans after a stellar career as a competitor. He covered the world's most famous cycling event for 33 years. Paul Sherwen's voice became almost inextricable from the Tour de France for English-speaking fans after a stellar career as a competitor. He covered the world's most famous cycling event for 33 years. Paul Sherwen, one of the best-known pro-cycling commentators who is widely credited with introducing the English-speaking world to the sport, died on Sunday at his home in Uganda. He was 62. Sherwen's voice became almost inextricable from the Tour de France and other major cycling events after a stellar career as a competitor. He rode in the Tour seven times during the 1970s and 1980s, twice becoming the British national champion. But the British cyclist is best known for his 33 years commentating on the world's most famous and grueling cycling competition — many with co-commentator Phil Liggett. Over more than three decades, Sherwen spread his passion for cycling across British, Australian and American television and radio to new generations of fans. He covered the sport during five Olympic Games as an analyst for NBC Sports. "We are saddened to offer our condolences to the friends and family of Paul Sherwen, who passed away this morning at his home in Uganda," the news outlet said in a statement on Sunday. "Paul was synonymous with the Tour de France in the U.S. and will be greatly missed by his legions of fans and the NBC Sports family, which was honored to be part of Paul's 40th Tour last July," NBC wrote. "Our thoughts are with Paul's wife, Katherine, their children, and all of those in the cycling community who became Paul Sherwen fans over his many years calling the sport he loved." Members of the cycling community, including his longtime broadcasting partner, were blindsided by the news of Sherwen's sudden death. "I went to bed in Africa with a heavy heart last night feeling sadness like never before," Liggett wrote on Twitter. "My team mate for 33 years was no longer with me. Your hundreds of messages showed how well @PaulSherwen was loved." I went to bed in Africa with a heavy heart last night feeling sadness like never before. My team mate for 33 years was no longer with me. Your hundreds of messages showed how well @PaulSherwen was loved. Let's think of Katherine and his children with love just now. British Cycling also noted the loss of the former national champion in a tweet, calling him "a great voice of our sport." We were truly saddened by the news of the passing of @PaulSherwen. A former national champion and a great voice of our sport, our thoughts are with his family and friends at this time. Lance Armstrong, who won the Tour seven times before being stripped of his championships after a major doping scandal, wrote about meeting Sherwen in 1992, when he worked as a press officer for Team Motorola. "He was always a class act and a great friend," Armstrong said. 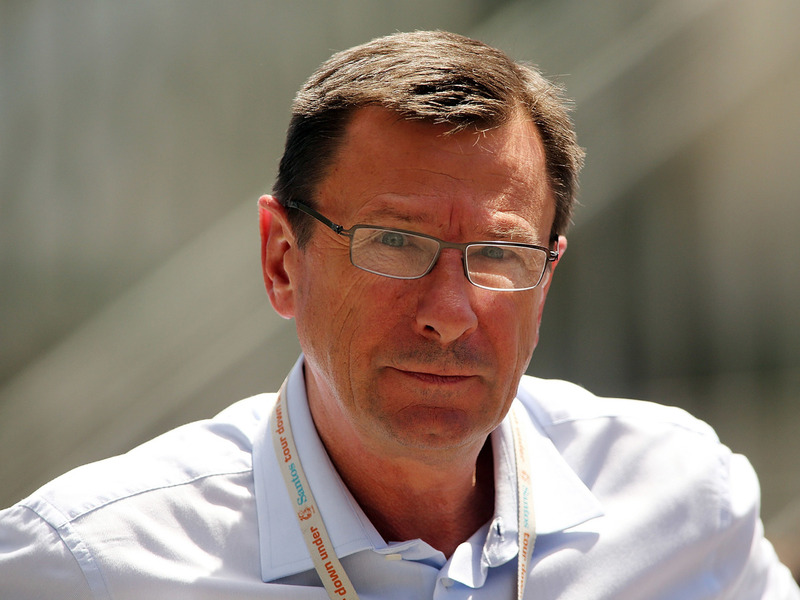 Completely shocked and saddened to hear of Paul Sherwen’s passing. Met Paul in 1992 when he worked as our press officer for Team Motorola. He was always a class act and a great friend. My deepest condolences go out to his family. RIP Climber. "The soundtrack to our July and our sport has been silenced," Australia's Cycling Central wrote on Twitter. "We are too gutted for words right now." Sherwen was born in Lancashire in the U.K. and raised in Uganda since age 7, NBC Sports reported. "He helped create Paul's Peloton, which brought bicycles to Africa, and advocated for African wildlife as a chairman of the Ugandan Conservation Foundation and supporter of the Helping Rhinos initiative." The cause of Sherwen's death is not yet known.